Artificial Intelligence (AI) is flourishing on a worldwide scale as government researchers and businesses look to make headway in the growing field according to the 2018 AI Index report. The report which gathers data around the most relevant trends in AI found that the number of AI startups in the US has more than doubled since 2015 as more companies use the technology to offer greater personalisation in their products. 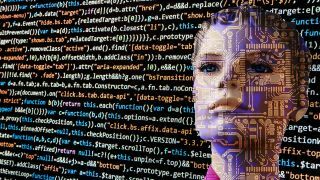 The 2018 AI Index Report also highlighted the field's diversity problem with eighty per cent of professors teaching AI or AI-related subjects being male. Job openings in the fields of machine learning and deep learning are also rising with positions focused on machine learning having tripled over the last three years from less than 5,000 to almost 15,000. The AI Index broke down AI research focus by region to reveal that the US is focused on humanities and healthcare, China is using AI to boost agricultural sciences and Europe is applying AI to social science, natural sciences and engineering. One particularly interesting finding from the AI Index was the increase of downloads of the Robot Operating System (ROS) which is an open source stack used by developers working on robotics and automation. The operating system is used by commercial manufacturers as well as academics and hobbyists working on robotics projects. Downloads of ROS went from less than a million in 2012 to 15m a month in 2018 coinciding with the rapid rise of AI.